A Korean Pastor’s heroic work leads a nominally Christian filmmaker to conversion and action. In 2009, on a freezing winter’s night, a baby girl with Down syndrome was left outside his home lying in a fish box. After finding her, Pastor Lee felt prompted to do something about the infant abandonment problem in South Korea. He knew that if he didn’t do something to save these children, he could be picking up their dead bodies at his gate. In 2011, Brian Ivie was 21 and a rising junior at the University of Southern California Cinematic Arts when he read an article in the Los Angeles Times about Pastor Lee’s baby-saving efforts. “The way the article [“South Korean Pastor Tends Unwanted Flock”] talked about it, these kids were the most disposable kids in the country and there was something in me that said, ‘This isn’t okay. If I don’t do anything about this, everyone is going to forget.’ That thought went off in my head like an alarm bell—similar to the one that I would hear, not six months later, go off in the orphanage,” Ivie, the director of The Drop Box, said in a phone interview. Ivie felt compelled to make a film about these unwanted children—most of whom had disabilities or deformities. He set the wheels in motion by emailing the correspondent who wrote the LA Times story and by reaching out to Pastor Lee. From the first, it seemed that God really wanted this story told. Like clockwork, everything fell into place for him—and with abundance. Ivie and his film crew had hoped to raise $5,000 to make a short film, but instead they raised $65K and were given an additional $50K in film equipment. Their five-minute short turned into a full-length 80-minute documentary that would consume the next two-and-a-half years of the film student’s life and would include three trips to South Korea. It became apparent to Ivie that his vision for the film was not the story that God wanted to tell because there was a roadblock everywhere he turned. The people he needed to interview were either unwilling to be on camera or gave uninteresting interviews. On that first trip to South Korea, Ivie and his crew lived in an apartment near Pastor Lee’s home—a cramped three-story lean-to housing the pastor’s family of 20—which also serves as an ad hoc orphanage and as his church, called Jusarang (“God’s Love”). This time he would stay in Pastor Lee’s home and sleep on the floor with the children to remind himself of who he was. He would also get up every morning at 6:00 a.m. to pray on his knees with Pastor Lee. “I would come down after having this time with God and Pastor Lee and suddenly I was impenetrable. I could love the children and hug them. They could punch me and I could take it. God allowed me to really enjoy the kids even in their worst moments and to love them. Once you get touched by that kind of love, you can pour out without losing a drop,” he says. Ivie was deeply moved by what lengths Pastor Lee and his wife were willing to go to protect one life. Before making The Drop Box, Ivie says the only life he was concerned about was his own life; the abortion issue wasn’t even on his radar. Making The Drop Box changed his apathetic view. Now he calls himself “vehemently pro-life,” and he’s not shy about sharing this. In March 2015, more than a quarter million people saw The Drop Box, which was distributed by Focus on the Family in a limited theatrical release. The film has led many families to contact Ivie’s non-profit organization, Kindred Image, which was founded to help end child abandonment and foster a culture of life in South Korea. Faith and Ryan Mahoney were one of those couples. Their three children now have a little brother with Down syndrome because The Drop Box inspired them to adopt. Since the airing of the film, Focus on The Family—partnered with Kindred Image—has raised 1.4 million dollars for Korean orphans and children in American foster care. As a result, Pastor Lee and his family were able to move to a much-needed larger home. Their former residence is currently being converted into a maternity shelter for mothers in crisis. 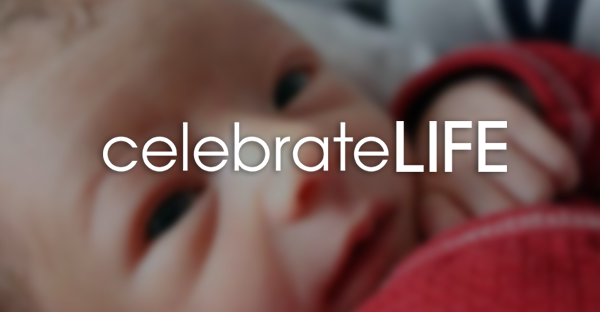 Although The Drop Box and the press surrounding the film focuses on Pastor Lee, it’s clear that he could not have done so much to save unwanted babies without the support and dedication of his wife. The Drop Box was released on DVD in July of 2015. The movie can be purchased at thedropboxfilm.com for $14.99. Donations to help Korean orphans and American children in foster care can be made on the website. The film is available on Netflix. Lori Hadacek Chaplin writes from Idaho. She is a senior writer for Catholic Digest and writes a blog entitled Everyday Miracles, which can be found at http://www.catholicdigest.com/category/news/everyday-miracles/.